Customer satisfaction is all about giving you, our valued partners and customers, what you need, when you need it. Aligning our product improvements with our customers’ requirements is essential in helping our partners and customers succeed. But, to make this work, we need your input! 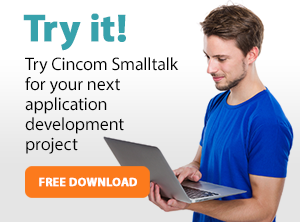 To gain this valuable feedback and obtain requirements from our partners and customers, Cincom Smalltalk Product Management often conducts quick, mini surveys. These are short surveys simply designed to get specific and timely information about a unique feature or features of our product. Mini Survey: Are you still using ObjectStudio’s ODBC Database Wrapper?